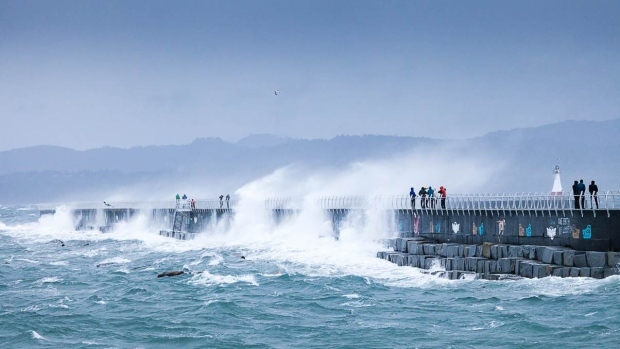 Another week, another spring storm for Vancouver Island. The next one arrives Tuesday and it promises high winds, periods of rain and a risk of thunderstorms. The low pressure system, currently offshore, will strengthen quickly as it approaches North Vancouver Island early Tuesday. As a result, a wind warning has been issued for west and north Vancouver Island. 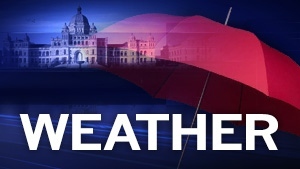 Strong southeasterly winds are forecast to reach 80 kilometres an hour early Tuesday, gusting to 90km/h by midday. Winds could be even stronger north of Tofino. The storm tracks toward Haida Gwaii, arriving early evening. So what does this wind warning mean to people living and working along the west coast of the island? The winds are strong enough to toss loose objects. Tree branches could break, too. Winds elsewhere on the island will be strong through the early part of the day, but at this point they’re not strong enough to prompt a warning. Rain is heaviest in the first half of the day and by the afternoon there’s a risk of thunderstorms! Unsettled weather continues for the rest of the work week with the next dry day forecast for the weekend.